Sister Helen has joined the local nursing field since 1960 and is one of the pioneers who led and promoted the hospice movement in Hong Kong. 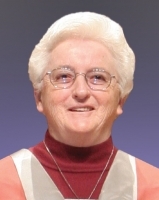 Sister Helen is particularly concerned about the welfare of dying patients. Her dedicated efforts contributed much to the founding of Bradbury Hospice as the first institution in Hong Kong to provide specialist hospice care for dying patients in 1992. Sister Helen received the Hong Kong Humanity Award in 2009.